I have to apologize for not posting in so long! I am shooting . . . with my D800e . . . alot! I’ve learned so much about this amazing camera . . . the most important being that I can’t go back to a crop sensor camera now. Full sensor is just a whole different world. My husband recently bought himself the D600, which is also an amazing full frame camera. I’ve done a bit of shooting with it . . . but I keep coming back to my D800e. I love the way it feels in my hands, I love the easy operation and easy to navigate menu system – but most importantly I LOVE, LOVE, LOVE the quality of the images I am getting with this camera. Sure the file sizes are big . . . but the clarity and color quality are the best of any camera I’ve ever used. I have to do very little post editing to most of my shots. I just can’t sing it’s praises enough. It is an expensive piece of hardware so I wouldn’t recommend it for just regular point and shoot situations. 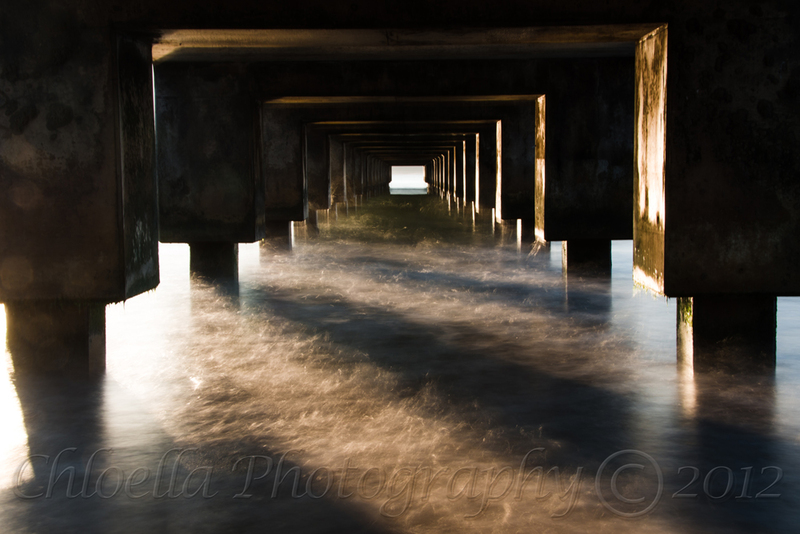 The photo I am attaching today is one I shot below the Hanalei Pier on the Island of Kauai, HI. I am playing around with slow shutter speeds these days.